In the hustle and bustle of modern market life it is easy to forget that our Market has such a long and remarkably rich history! How neat and tidy we all were 700 years ago ! As the oldest buildings in Framlingham have timbers dating from about 1475, it is obvious that there must have been some time before the town really took hold after the construction of the castle, and that the first traders of Framlingham would have been market traders ! 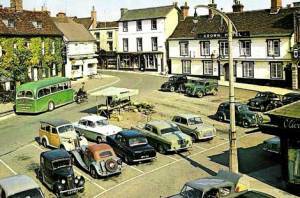 As these traditional Market towns developed , they provided a square or wide street for the markets to operate from. 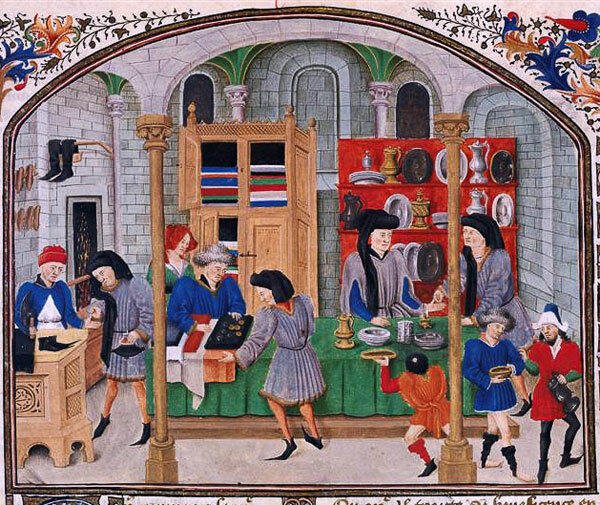 The English Monarchy also created a system whereby a new market town could not be established within a certain traveling distance of an existing one. 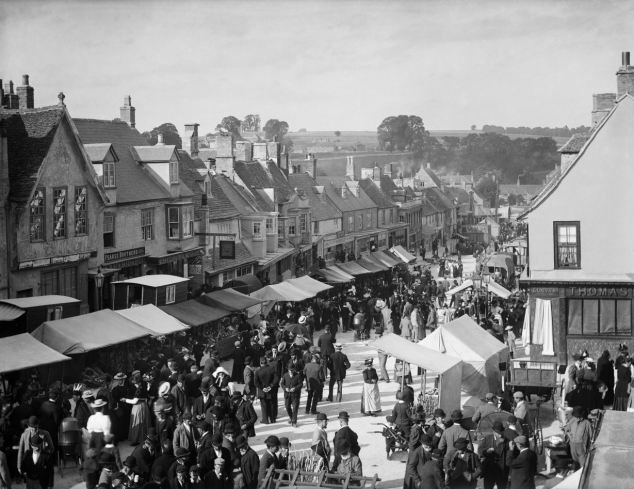 Market crosses were also erected in the towns to obtain God’s blessing on the trade- and also as a reminder ” not to defraud by cheapening “, which some take to meaning that market traders were dishonest. 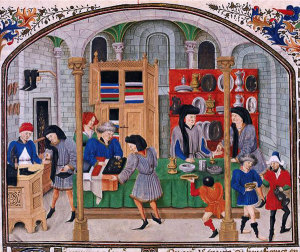 In fact it was a warning to townsfolk not to haggle the traders so low as to discourage their returning !! So shoppers beware – treat us well-or else we might just pack up and go ! Mustache grease , leeches and arsenic could have been on an ordinary market shopping list in Victorian times ! 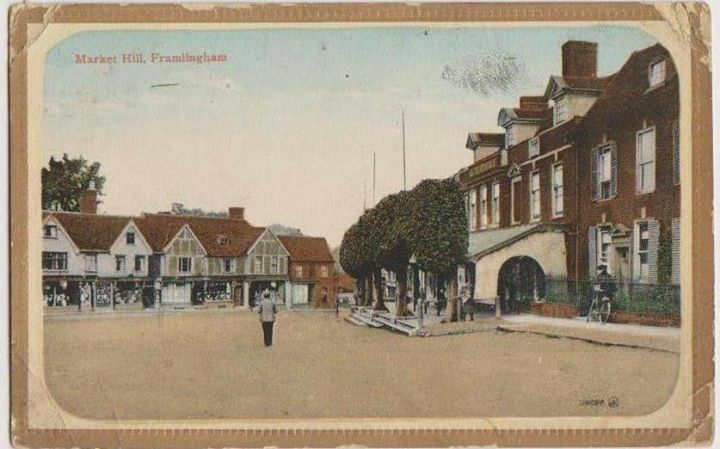 Framlingham is a Chartered Market – which means that it was formalised by Royal Decree which also made it difficult to set up a rival market nearby. Saturdays and Tuesdays have always been the market days in Fram, although in the past there seemed to be Market Fairs punctuated throughout the year as well. The Tuesday market was reinstated again about 10 yeas ago, allowing Fram Market to become one of the only local towns to hold a bi-weekly event. Interestingly , of the many photographs in existance of Framlingham through the ages – there seem to be hardly any of the market itself… perhaps this is an indication that a market might not have been percieved as ‘ smart ‘ enough , or might have lowered the tone somewhat ? Wouldn’t it be be amazing to find out who this lonely stallholder was , very likely to be a still local family! Setting up on your own to sell your fruit and veg – that’s one feisty stallholder ! Certainly the difference now is that our market attracts produce and crafts from all over the world – and yet the continuity is there – a thousand years of a market being held in the same location , week in week out – how special is that ! ?